The technocratic paradigm also tends to dominate economic and political life. The economy accepts every advance in technology with a view to profit, without concern for its potentially negative impact on human beings. Finance overwhelms the real economy.  The lessons of the global financial crisis have not been assimilated, and we are learning too slowly the lessons of environmental deterioration. Some circles maintain that current economics and technology will solve all environmental problems, and argue, in popular and non-technical terms, that the problems of global hunger and poverty will be resolved simply by market growth. They are less concerned with certain economic theories which today scarcely anybody dares defend, than with their actual operation in the functioning of the economy…they support them with their deeds by showing no interest in more balanced levels of production, a better distribution of wealth, concern for the environment, and the rights of future generations. Their behavior shows that for them maximizing profits is enough. Yet by itself the market cannot guarantee integral human development and social inclusion. In the spring of 1970, Senator Gaylord Nelson announced that a demonstration about the environment would happen on April 22. Approximately twenty million people showed up to celebrate the first Earth Day. Since then, environmental concerns such as oil spills, global warming, extinction of wildlife, pollution, and environmental inequality have been pushed to the forefront of political agendas and popular concern. At St. Ignatius the Green Team is working to bring our parish into closer alignment with God’s Earth. Join us on April 22 nd for liturgy and fellowship that focuses our attention on these critical environmental issues. On Earth Day, the Fellowships after the 10:30 AM and 6:00 PM Masses will be sponsored by the Green Team and will include lots of great foods including vegan and vegetarian dishes, fair trade coffee, and organic cookies, plus the Green Library will have its ribbon cutting after 10:30 AM Mass. 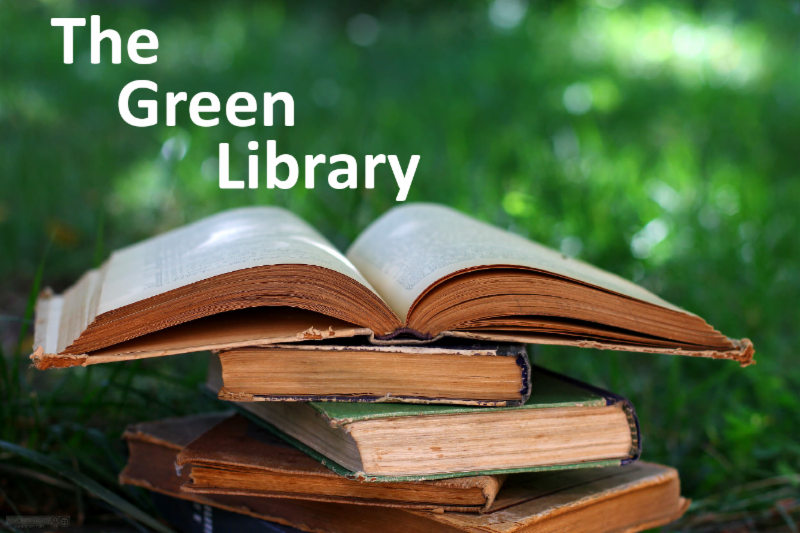 Check out the new Green Library in Ignatian Hall . 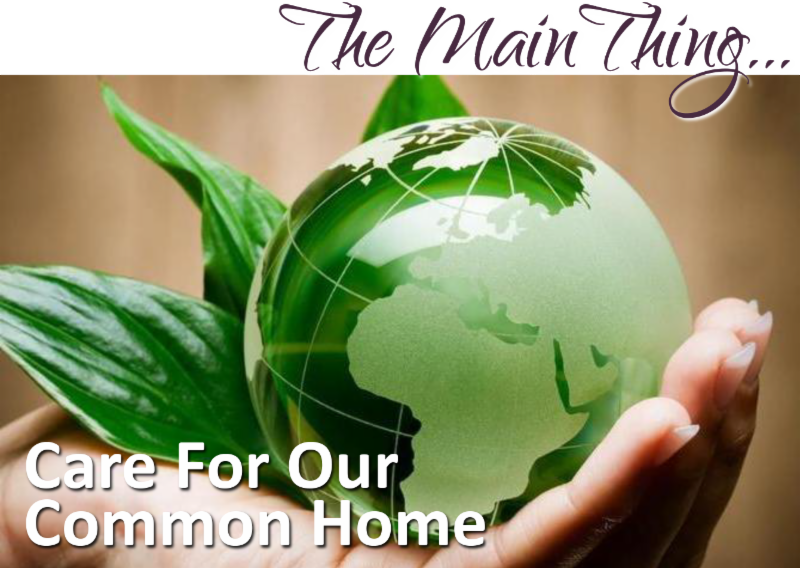 You will find over a hundred books and articles on the environment. Books are arranged by author. You are welcome to take a book home but please return to the shelves after you have enjoyed it. 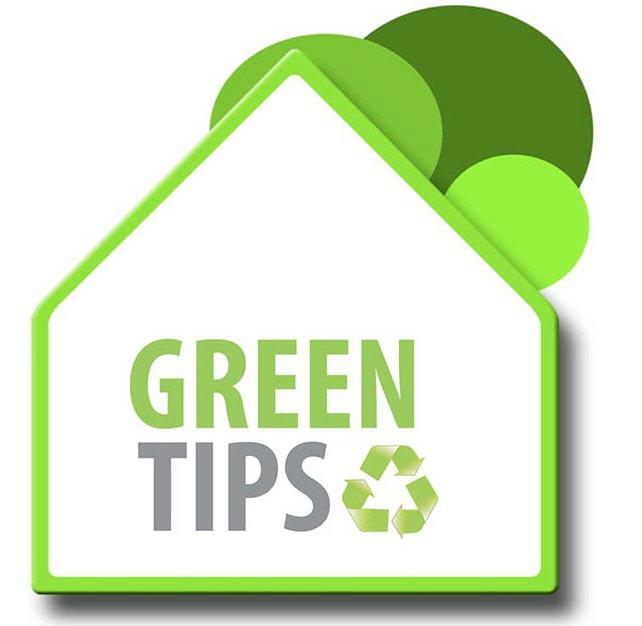 Also below are links to environmental readings and web pages recommended by the Green Team. Consumption and waste are critical issues to the environment. This Earth Day, St. Ignatius is beginning an effort to understand the cycle of consumption to waste by using and composting the paper plates, cups, and utensils we use at Fellowship. At the 10:30 AM and 6:00 PM Fellowships, we will use only compostable, biodegradable items and we will compost them locally. 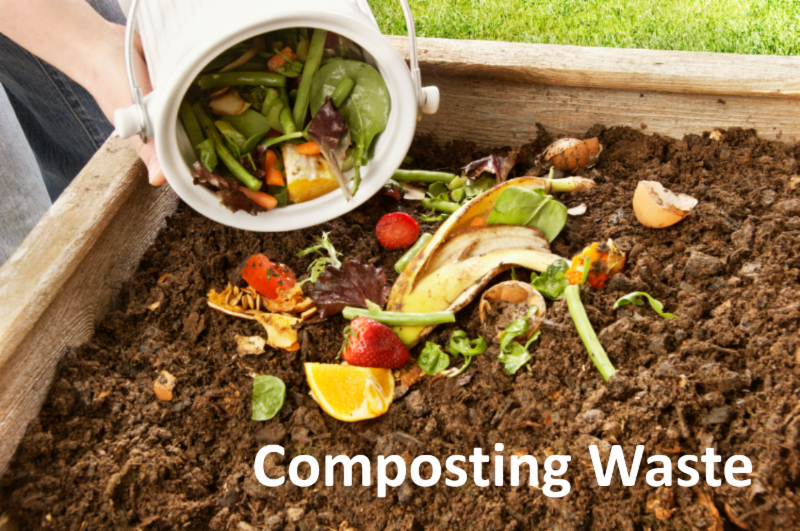 We look to expand the program to cover all compostable capable materials at the Parish. Follow our progress on our web page as we work to improve the environmental footprint of the Parish. The St. Ignatius Green Team is engaging with community groups throughout Baltimore to partner in environmental efforts including tree plantings and neighborhood clean up. 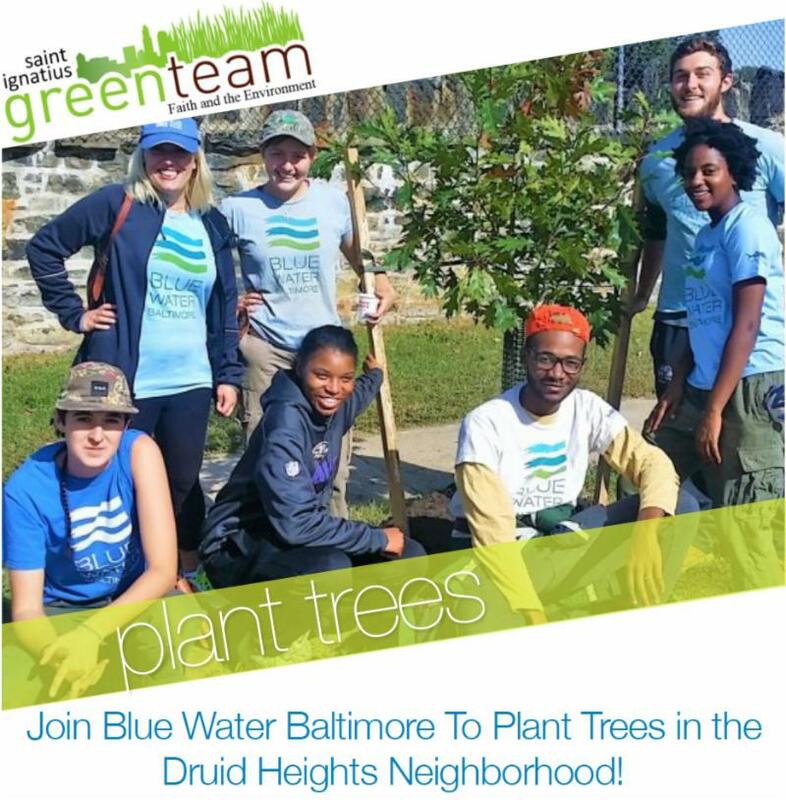 Join us on April 18th for our first effort with Blue Water Baltimore to plant trees in the Druid Heights Neighborhood. Blue Water Baltimore's mission is to restore the quality of Baltimore's rivers, streams and harbor to foster a healthy environment, a strong economy and thriving communities. 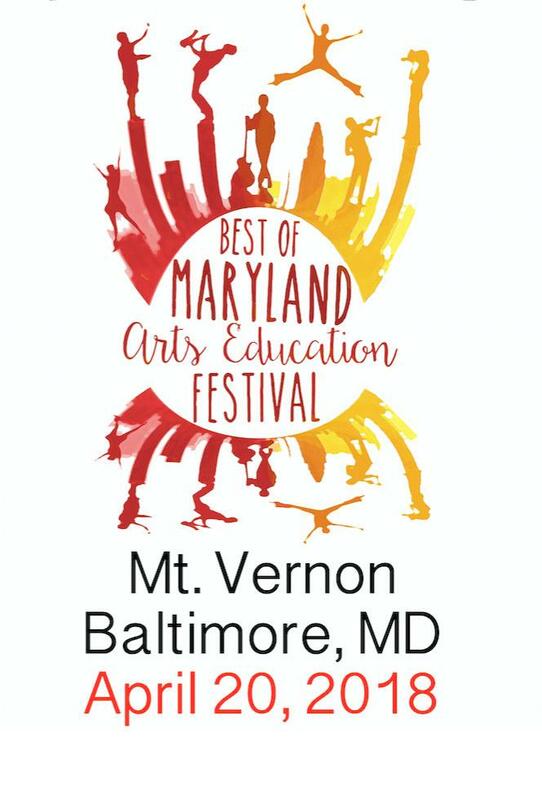 St. Ignatius is pleased to have been selected as one of the venues for the Best of Maryland Arts Education Festival this Friday, April 20 - and we would love to have a few of our parishioners volunteer to serve as hosts and hostesses to greet our guests. 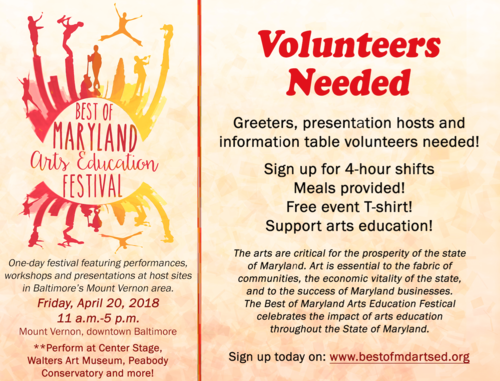 Student artists from throughout the state will be presenting music, dance, theater, poetry, creative writing, visual and media arts at Center Stage, Peabody, Walters, Mt. Vernon Methodist, and St. Ignatius. More information and a complete schedule of events can be found on the MAEF website . 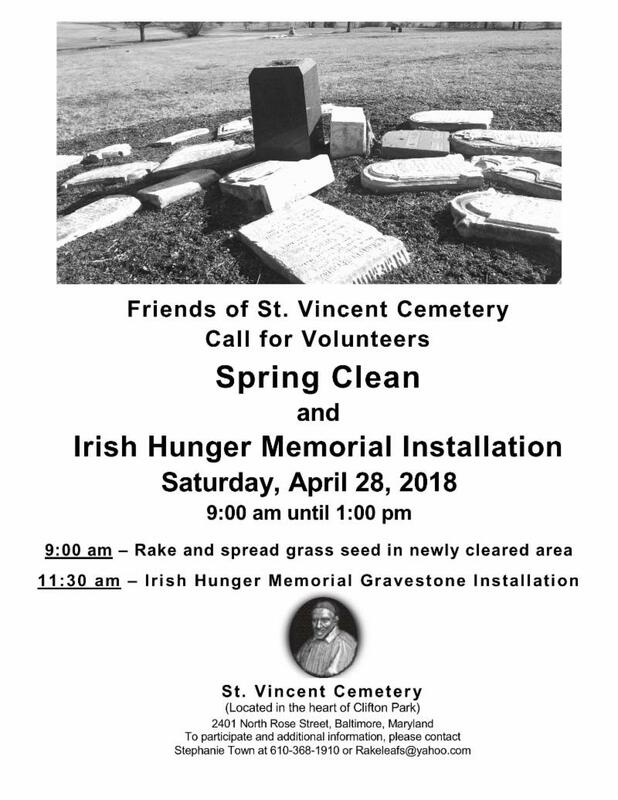 If you can volunteer for a four-hour shift, contact the parish office today ( parish@st-ignatius.net or 410-727-3848). You can also register directly through the MAEF website. During Masses over the weekend of April 28-29, 2018 you will be asked to assist our Parish in the annual c ount to obtain information about the number of persons who attend Mass at our Parish as well as some general limited data on the cultural and/or ethnic background of your own family members. Please know that providing this information is voluntary and anonymous. The cultural/ethnic information you provide will be used to assist us in making better future pastoral ministry decisions for our church community at the parish and diocesan levels. The data is also used by the Archdiocese in their reports to the Vatican. 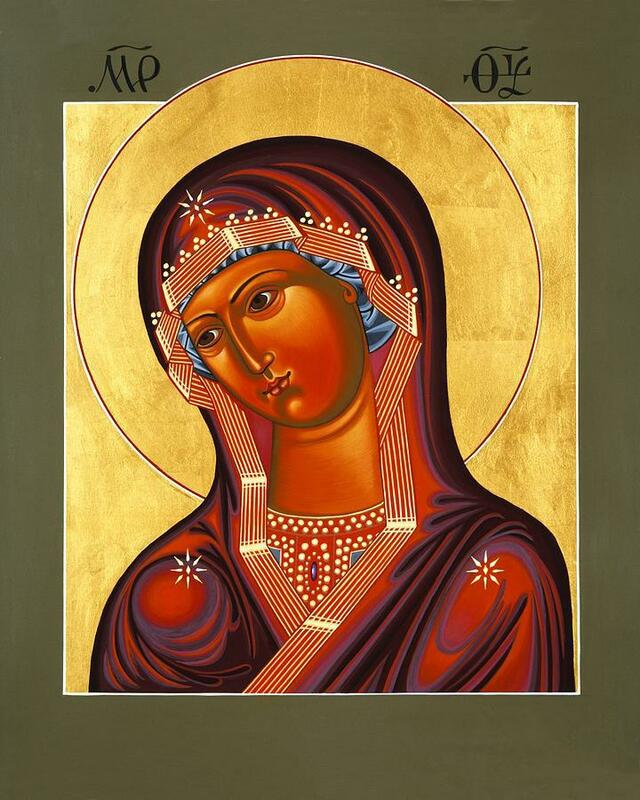 This upcoming Sunday we will open a new exhibit in the Reeves Gallery of Contemporary Icons by Fr. William Hart McNichols entitled Mother of God Similar to Fire . Since 1991, Fr Bill has been creating these beautiful icons. He studied with Robert Lentz. His work is in The Vatican Museum. Prints can be purchased at http://frbillmcnichols-sacredimages.com . Ignatian Weekend Retreat "Come Follow Me"
Any woman or man grieving after an experience with abortion is welcome to attend a retreat day for spiritual and emotional healing on April 28, 2018 . These retreats offer a confidential and emotionally-safe environment for those struggling after abortion. 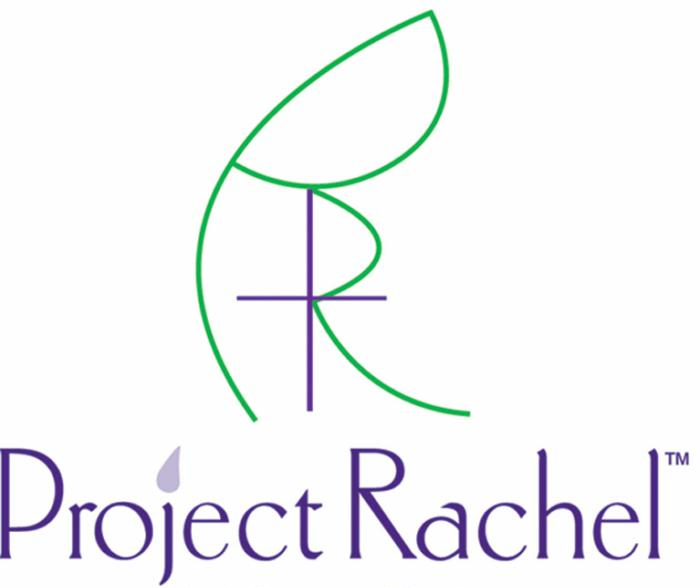 To find out more information or register, please visit www.project-rachel.net or contact projectrachel@archbalt.org , (410) 625-8491. T o upload information flyer for females who struggle with abortion issues and repercussions, click here . To upload information flyer for males who struggle with abortion issues and repercussions , click here . Attached is the listing for the music selections at next Sunday's 10:30 Mass. 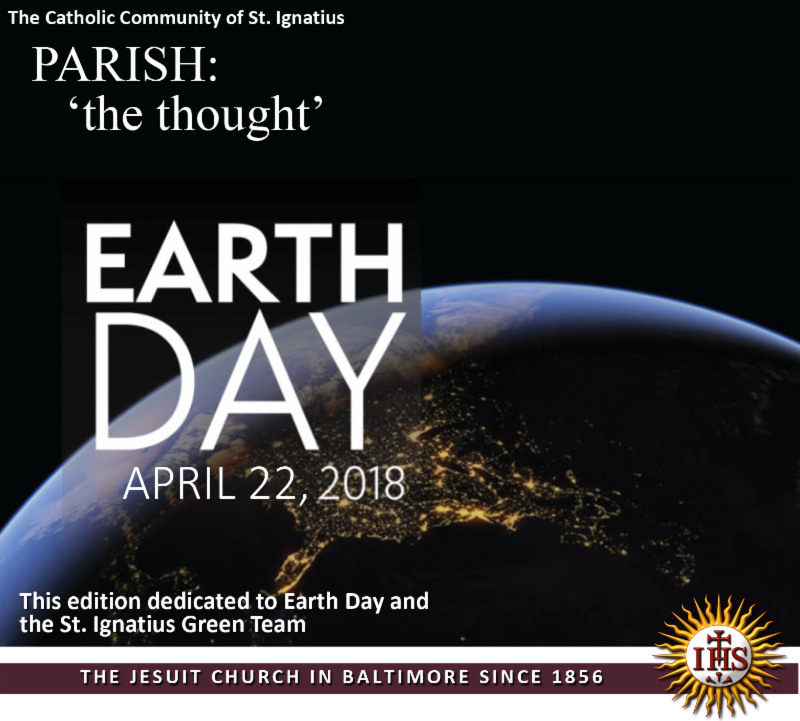 "Parish: the thought" is a publication of St. Ignatius Catholic Community, Baltimore. Each edition contains articles and news feeds that are included for awareness of current topics in our world today. The positions expressed by outside authors and news feeds are theirs alone, and do not necessarily reflect the views, opinions or positions of St. Ignatius Catholic Community or its staff.